Looking for the best beginner drones? You’re in the right place. Lots of people want to get into the drone hobby but don’t know where to start. Thanks to the recent explosion of the consumer drone market, there’s thousands of options out there and each one claims to be the best drones for beginners. How can you find the drone for beginners that’s truly right for you? That’s where we come in. Since 2012, Dronethusiast has been the premier site for drone news, reviews, and buyer’s guides. We’re staffed by qualified drone experts who know the industry inside and out. And we’ve gotten together to put together a list of the top 5 best beginner drones of 2019. Whether you’re buying a beginner camera drone for yourself or looking for the perfect gift to get a friend to start flying quadcopters, there’s sure to be something here for everyone. If you’re a first-time flier, you’ll no doubt have many questions. What’s the best drone for filming? What do drones do? What are the benefits of drones? You may wonder how you can start flying a drone if you don’t have any experience doing so before. We cover all of this in a handy FAQ, located at the bottom of this article just below the reviews. For those who already have some idea of what they’re looking for, read on to find the best beginner drones of 2019! The following drones have been selected for their durability, feature set, and other factors described in each individual review. Take a look around and see if you can find the best drone for beginners that suits your needs! If you’re a first-time pilot looking to get into the drone hobby, there is no entry level quadcopter we recommend more highly than the Altair Aerial AA108. This has been a Dronethusiast favorite for years now and it still holds up thanks to a nigh-unbreakable durability design, great usability features, price, and camera. It even has a good range and flight time! Thanks to headless hold mode and the fact that the drone maintains its mid-air altitude, you never have to worry about the complexities of serious drone piloting, making it easy to pick up and learn. But you can also turn these settings off over time and turn up the speed as you get better at flying, making this the rare training drone that’s still fun to fly even as you become an experienced pilot. Other drones have some of the same features, but no other drone provides the complete package quite like the AA108 does. This is truly a drone that works for anyone, and one of the best beginner fpv drones ever! The Hornet is sold as an “advanced” version of the AA108, but a better word might be “specialized.” The AA108 is a drone that works well for anyone. 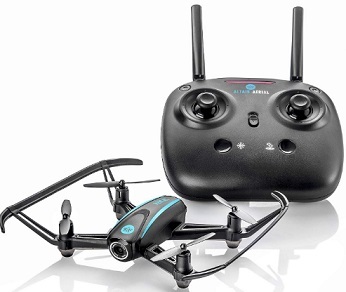 The Hornet is the easiest entry level drone with camera to fly, a quadcopter specifically aimed at beginner drone pilots who have an interest in aerial photography. And on that note, this beginner drone is a complete success! The long battery life (15 minutes off of a single charge) and more stable design give you plenty of room to line up the perfect shot, and the longer range of 150 feet allows you to get up to those hard-to-reach places other beginner cameras can’t cover. This is on top of all of the ease-of-use features that made the AA108 so popular in the first place. 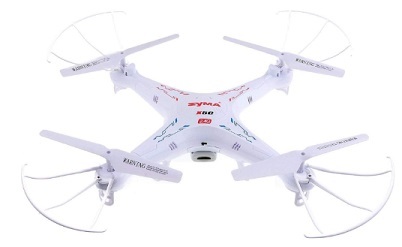 For only $119 you’re getting an amazingly good starter drone at an amazing price! Get super fast and free shipping when you order the Blackhawk from AltairAerial.com, or you can also see Best Price at Amazon. The Blackhawk is a more advanced level quad with 15-17 Minutes of Flight time and 300-500 Meter Range! If you’ve been looking for a beginner drone that knocks it out of the park when it comes to durability and speed, you really need to check out the Altair Aerial Blackhawk. This drone is super fast, has a flight time of up to 15 minutes, and it can go a long way for a drone in this price range (300 Meters). 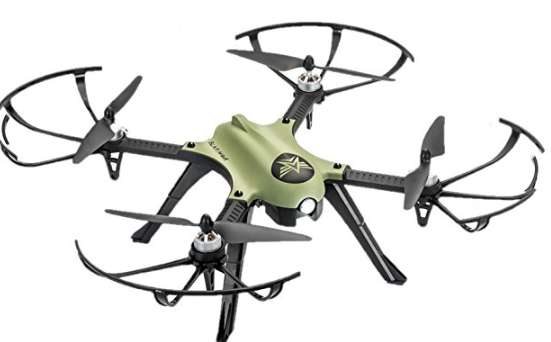 Customers looking to move up from the Altair Aerial AA108 and 818 Hornet will love this heavy duty drone for its stability and speed. The Blackhawk doesn’t utilize altitude hold which unlocks the potential for extreme control! The ability to go vertical and descend super fast will give you that racing feel while you’re flying! While a camera does not come with the Blackhawk, it is equipped to handle a GoPro or similar video drone camera when you’re ready to capture the action. What is the best drone for under $100? Different reviewers will have different answers to that question, naturally, but to our mind the Holy Stone HS170 Predator is one of the best drones for under 100. At less than $40 USD you’re getting a good range and performance as well as three flight modes that are specifically designed to help train new pilots. Plus, it has a very unique and stylish design that kids and adults will love! You read that right – this drone is called the “Explorers”, not the “Explorer.” If your number 1 concern with buying a new drone is durability, this is the choice for you. Don’t be fooled by the smaller prop guards – every piece of this drone is made with a tough, anti-collision design that can really take a beating under most conditions. 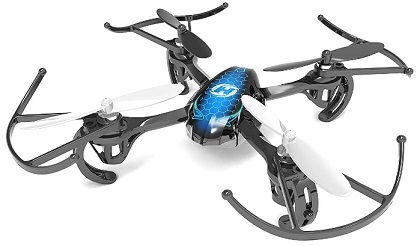 It’s a shame the other features aren’t quite as impressive as the design itself, but for only $70 this is still a good drone for beginners and another beginner drone under 100. The Outlaw is Altair Aerial’s newest beginner drone (at time of writing) and their most technologically advanced. This GPS-enabled drone practically flies itself, taking gorgeous pictures as it does so. In GPS Flight Mode, the drone will hold itself stable in a point in space, requiring only that you steer it to whatever position you want it to stay in. Advanced stabilization features also make the Outlaw extremely easy for anyone to fly. Throw in one of the best cameras in its price range and a good flight time and range, and you’ve got a solid mid-range beginner drone that most people can afford and anyone can fly. You can read our full review of the Outlaw by clicking here. So, here’s the thing about the DJI Spark. This is a good rc drone for beginners if two things are true about you: 1) you have a lot of money to spare and 2) you don’t actually want to learn to fly. With advanced Gesture Mode features and other automated flight modes, this drone truly flies itself and takes great photos and video while it does so. But it may not be the best choice for pilots who actually want to learn to fly for themselves. The Parrot Bebop 2 is an advanced consumer quadcopter designed for FPV photography and videography, but it’s easy enough for any beginner pilot to pick up and fly without much difficulty. Its intelligent flight assistance means that, to a certain extent, the drone flies itself and doesn’t require much input from the user. If you want to start your drone journey with one of the best mid-range rc drones for beginners on the market, look no further! If you’re looking to get into the world of professional drone photography, or simply have the money to spend on the highest end of the prosumer market, these are the quadcopters for you. Though the following drones are easy to fly, we do not recommend them for all beginners, particularly those who feel they might regret the $1000+ purchase after the fact. Still, all of these are great beginner drones for adults, as opposed to the cheaper options which (other than the Altair models) are generally designed to work as beginner drones for kids. When looking for high-end drones, there really is no better choice than the 2018 Parrot Anafi. 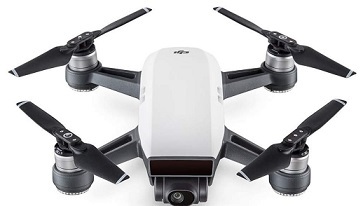 This great drone comes with everything you could want from a professional camera drone at a relatively inexpensive price of $700 USD, and it’s extremely easy to fly (especially since they patched the software bugs that were present at launch.) Plus, for our money, the Anafi still has the best HDR features on the market. Read our full review of the Parrot Anafi here! • Parrot’s obstacle avoidance features are not as advanced as DJI’s. You may have already heard of the DJI Mavic 2, widely considered the best flying camera on the consumer market. But if the Mavic 2 is such a remarkable piece of hardware (and it is), why are we recommending the older DJI Mavic Pro 1? Well, the Mavic 2 is designed for truly advanced fliers, overwhelming users with dozens of settings and features to choose from. 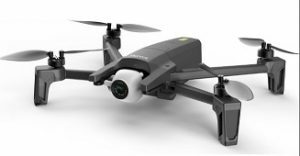 The Mavic Pro is a simpler, more elegant design that was actually created (in part) to appeal to beginners, and is overall much easier to fly. This is the best choice for beginner drone pilots who are looking for the best high-end model available! Most high-end new pilot drones tend to be of the portable, foldable variety we’ve shown you above. 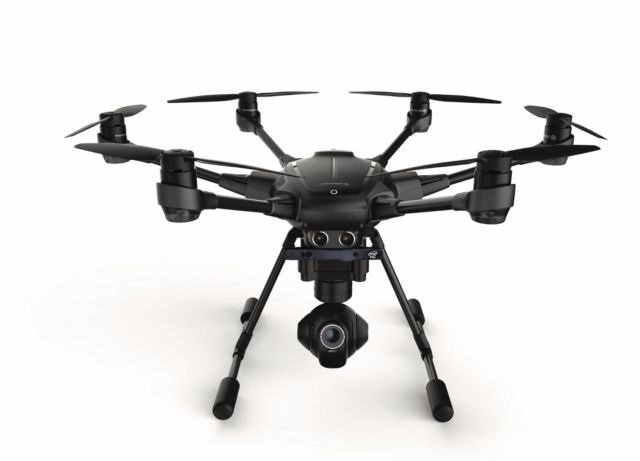 But if you’re looking for something bigger, consider the Yuneec Typhoon H, a Phantom competitor (and in many ways, superior) that’s carried through the air by 8 powerful propellers. Yuneec’s emphasis on usability and 8 autonomous flight modes make the Typhoon H extremely easy for anyone to fly, including those looking for a good beginner drone. 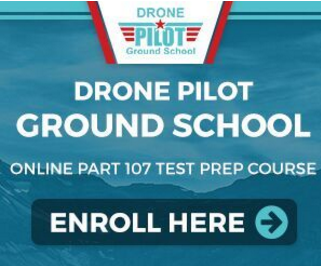 The number one question beginners ask us is how to fly drones. The good news is that many of the drones on this list will practically fly themselves thanks to a number of automatic stabilization modes like heading and altitude hold. All you have to worry about is the analog sticks. If you’ve ever played a videogame using a controller, you’ll feel right at home with a drone. In a similar fashion, the left stick generally lets you turn in the air and move up and down, while the right stick is what you actually use to move horizontally. Any drone will come with a manual telling you how to use it, and if you have an open field to practice in you’ll be able to figure out the basics fairly quickly without having to worry about crashes. The best beginner drones also come with ease-of-use features that let you only have to worry about a few aspects of flying at a time, such as Headless mode. The maximum legal height to fly a drone in the United States (and most other countries that have regulations in place) is 400 feet. Most drones fly somewhere between 100 to 400 feet in the air in compliance with this rule. Because of the weight requirements for the battery, most drones can only fly for 8 to 25 minutes. Many beginner drone pilots are surprised at the fact that most drones don’t fly very long. This is why most of us seasoned drone enthusiasts buy extra batteries whenever we pick up a new drone! Most drones have an effective flight range of 100 to 4000 meters. High-end drones can have a much farther range – the Yuneec Typhoon H Pro, for example, boasts a 10 kilometer flight range! The best starter drones – now come with cameras as a standard feature. This camera is usually controlled with a seperate app on a mobile device, but some drones (like the Altair Aerial Outlaw) let you take pictures and video with a button on the controller itself. “FPV” stands for “first person view” or “first-person video.” This means that a camera on a drone is mounted in such a way that it can stream live video footage that makes it look like you’re seeing from the drone’s perspective. This stream is usually viewed on a seperate mobile device and makes it much easier to line up photography and videography shots. What is a good drone for beginners? High durability. As a beginner, YOU ARE GOING TO CRASH. This is a natural and normal part of the learning process – we’d be lying if we said there was a single member of our team that didn’t crash their first drone dozens of times. With that in mind, you need a drone that can withstand those first few crashes and last long enough for you to figure out how to fly properly. User-friendly controls. Features like altitude hold mode, heading hold, and slower flight speeds will make the drone easier to control and therefore better for learning. The best drones for beginners let you turn these features off, one by one, so that you can work your way up to more advanced piloting techniques. Safety features. A good beginner drone will land itself when the battery’s running out, for example. Price. This one is obvious. Don’t spend thousands of dollars on a drone you might not be able to fly properly! Battery life and range. These are good things to look for with any drone. Remember that the battery life is probably going to be shorter than you’d expect – 15 minutes is considered very good for a beginner drone, while 20+ minutes is all but unheard-of. Where can I find entry level drones with cameras for sale? Most people either buy drones on Amazon or directly from the manufacturer. Sometimes entry level drone manufacturers’ websites will offer special benefits for buying through them – Altair Aerial, for example, offers free shipping. Some of the best beginner drones can also be found at physical storefronts that sell consumer electronics. We are partnered with the Amazon affiliate program, so we get a little bit of money each time you buy a drone using one of our links. If you like our writing and think this article was valuable to you, consider buying through the buttons above to help support our site at no extra cost to yourself! How much does a decent drone cost? How much is a drone with a camera? In the modern age, you can find good drones for under $100 USD – sometimes as low as $40 to $60. But these drones may have limited functionality and are often made of cheaper parts. A good, long-lasting beginner drone typically costs between $100-$300. Mid-range drones can go up to $600, while high-end consumer drones will often cost $1000 or more. Cameras are now standard on almost all beginner drones, so you don’t have to worry about paying extra for that feature. Typically, you will not need a license to fly a beginner drone. In America, you usually only need to register a drone if you’re using it for a commercial purpose or if it weighs over 55 pounds. However, laws vary by state and even more by country, so we strongly recommend you look up the laws in your area to see if you need a license to fly a drone. What are the best starter drones for photography? The AA818 Hornet is probably the best entry level drone for photography on the market, but you can’t go wrong with basically anything that has a 720p HD camera or better. Can I find beginner drones with an HD camera? As a matter of fact, most rc drones now come with HD cameras – even those designed to be beginner drones for kids! Every vehicle we’ve mentioned on this list has an HD camera of at least 720p resolution, and the high-end models now come with 4K video and 12 Megapixel still image capability as standard. Are there good beginner drones with GPS? Actually, yes! It didn’t quite make our final top 5, but the Outlaw is a great new drone that’s really easy for beginners to fly and which has advanced GPS features. It lacks the durability of some of the other drones on this list and has to be calibrated each time you fly, but if what you really want in your first drone is some innovative GPS-based functionality it’s an excellent choice. What’s the best drone for children who haven’t flown before? Kids will probably get the most out of one of the cheap models listed in the first section of the article – an AA108 or AA818 Hornet would be best, or possibly the Holy Stone Predator. Note that even the easiest to fly drones for kids are generally not recommended for those under the age of 14. What’s the best entry level drone with camera for adults? If you’re looking for a budget option, the best introductory drone for adults is most likely the Altair Aerial Tomahawk, which is easy to fly but still comes with many high-quality features, especially if you choose to upgrade the HD camera. For the VERY best beginner drones for adults, of course, you’ll have to look to the high-end models like the Parrot Anafi or the Yuneec Typhoon. These come with many high-tech features, but are often too expensive for even adult beginners to justify buying. 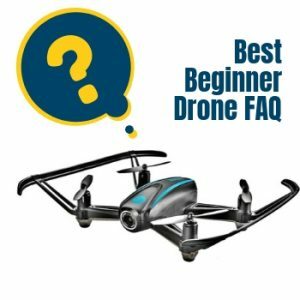 Finding The Best Drones For Beginners – Which Drone Is Best? We hope this article has helped you find some of the best drones for beginners 2019. If you have a question about one of our reviews, or think you know of a best beginner drone that we missed, be sure to let us know in the comments! Your feedback helps us to keep our articles regularly updated with the best and most accurate information we can.